Spring has sprung and the flowers are out in full display in the Babylonstoren garden. As nature arises from its winter sleep, the bees begin their daily hustle and bustle again to collect pollen for the hives. 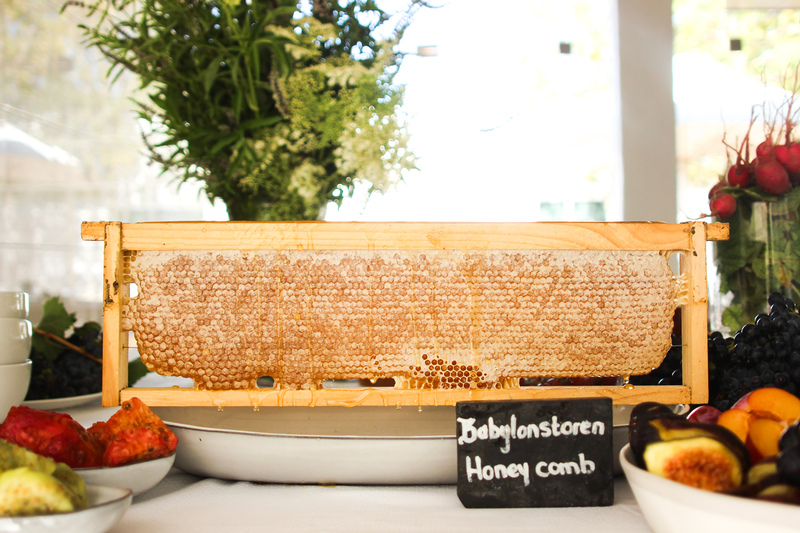 Our bees not only play an integral role in the garden ecosystem by helping pollinate the many flowers, but also produce the honey that is served straight off the frame on the tables of Babel. 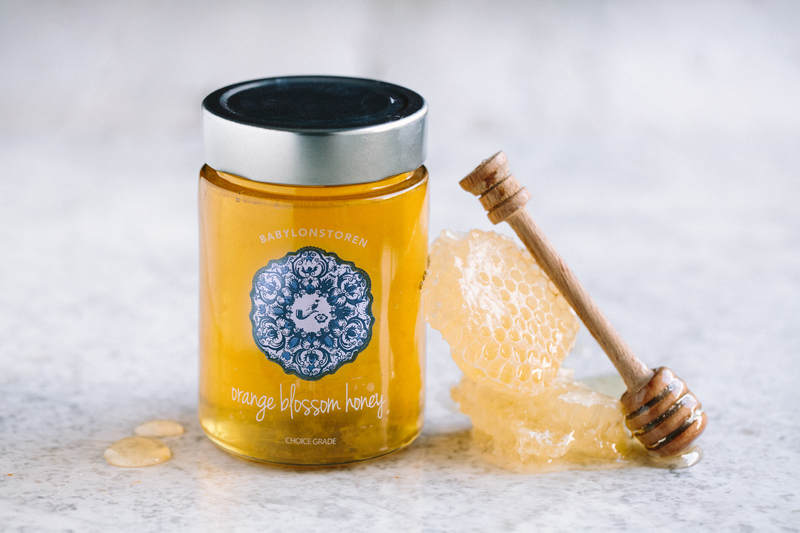 The honey we serve at breakfast and sell in The Farm Shop is raw and unfiltered, which has inspired the question from one of our visitors: What is raw, unpasteurised honey, and is it good for you? We turned to Paula Carnell, a consultant beekeeper and a natural health and wellness enthusiast from Somerset in the UK, to weigh in on the subject. However, problems may occur if your immune system is weakened (such as from overuse of antibiotics or exposure to anti-bacterial cleaners), or when foreign bacteria enter the honey – both of which can trigger an immune response. It is important to note that unpasteurised, unfiltered honey is a raw food that can be likened to raw cider vinegar and unpasteurized milk – it is considered good for you when it is organic and consumed in small quantities. Paula advises eating raw honey that is local and sourced from a reputable supplier, as it is more likely that your body will be adapted to the bacteria from that area. 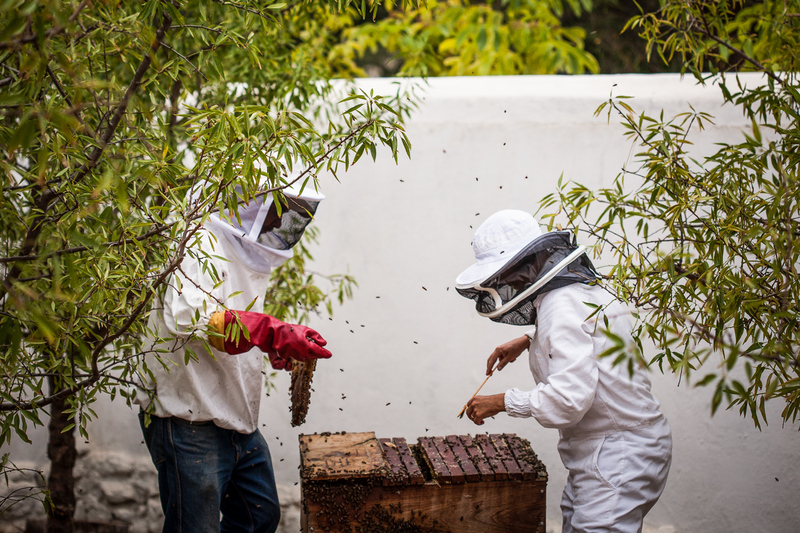 “It should also go without saying that you should seek out honey that has been collected responsibly by beekeepers who don’t feed their bees sugar or use chemicals to kill bacteria in the hives,” Paula insists. Raw honey should also not be given to children under the age of 1, as their digestive systems are not adapted to handle any contaminants that may exist. “If in doubt, pasteurised, filtered honey is perfectly fine. However, eat it with the understanding that it is more like jam or marmalade – less of a medicinal product and more suited to drizzling over your toast,” she concludes. What about the comb itself. Is it naturally made by the bees, or do you give them man made comb? Question: Is honey vegan or not and why. Dear Stefan. To most vegans honey is a definite ‘no’ however it is a borderline substance and depends on the individual’s tolerance for food production. Honey is produced by bees, primarily for their own consumption, so unlike milk, they are not exploited in its production. However, the quantity of honey taken from a bee colony, and the way that bees are sometimes kept could well be against the ethics of a vegan. If your purpose is to minimise the suffering of bees and their exploitation, it’s best to eat honey taken from bees cared for by natural guardians who don’t use chemicals, transport their bees to traumatise them, or take all the honey feeding the bees on sugar. Dear Caroline, the bees make their own honeycomb. But often times we will put in frames with a starter strip to lure them. That way we know that they will make the honeycomb on the frame, and not someplace else. The starter strip is made from our own beeswax, so it’s a natural product. I have another honey question: How do beekeepers know that a hive contains Fynbos, Orange Blossom (my favourite), Eucalyptus or Wild Flower etc honey? Can they be sure? Dear Leonie, good question. There are a few ways to determine what “flavour” the honey will be. It depends on where the hives are placed, so which flowers are close by for the bees to work on, and also when the honey is harvested. If the beekeeper takes out the honey after the orange blossoms flowered, it will be orange blossom honey. And honeycomb is spinned, the honey will have a distinct colour. Citrus honey, for example, is usually a lot darker. And finally the taste! Thank you, thought as much! Would citrus honey be darker (as in your reply), when OB honey is so much lighter than others? It is very disheartening and disturbing to see dozens of dead and dying bees around our house during the many fruit spraying times within our vicinity. Farmers want the bees to pollinate and they then thank them by poisoning them. If only something can be done in order to prevent this. thank you for your very interesting comments. how does one test for ‘sugar’ added to honey. This has been a controversial subject of late and I hate to think of unwittingly buying adulterated honey. Hi Susan! There are a few tricks you can use to test the purity of your honey. Place a drop of honey on your thumb, if the the honey spreads or spills you’ll know it’s not pure. Or, you can throw a small amount in a glass of water and if it dissolves it’s not the real deal. Pure honey will remain intact and settle at the bottom of the glass. Hope these help!